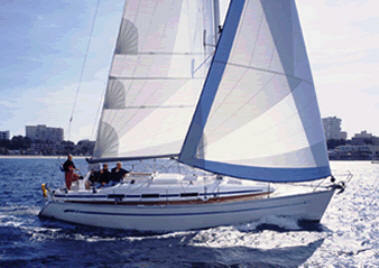 Few yachts of this size have the degree of craftmanship and quality displayed on the Bavaria 37. The interior is very nicely appointed and finished with lovely mahogany joinery. 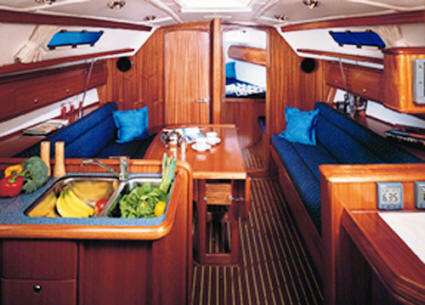 Her well appointed main saloon provides a dinette with seating for 6 and a spacious galley opposite. 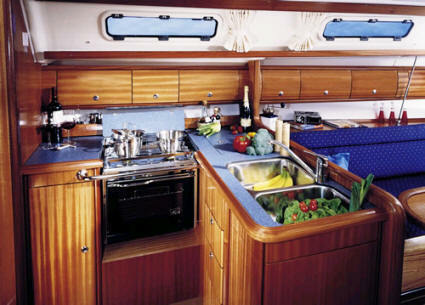 A navigation station has been handily provided at the base of the companionway. The Bavaria 37 has classic slab and roller reefing, one wheel steering and a electric anchor winch. 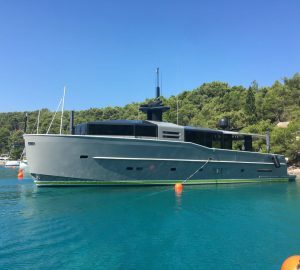 There is dinghy with outboard, swimming platform and ladder, a bimini and dodger shading the companionway, an ondeck shower and BBQ,AM/FM radio & CD player, fully equipped galley with LPG stove & oven, fridge/freezer, pre-charter cruising guides, full boat and chart briefing. There is also a complimentary starter kit with Rum, Bottle of Spring Water, dish washing liquid, Roll Paper Towel, Lysol Antibacterial Spray, Guest Soaps, Handiwipes, Coke, Spice basket (salt, pepper, hot sauce, herbs), One roll toilet tissue per head facility, Matches, OFF Insect Repellent and 2 Trash Bags. Optionals include a skipper or a provisioning service.